I think that both observers are pointing to a potentially powerful church model that would speak to both young adults and many empty-nester older adults. This decentralized approach or “modernized parish model” would benefit from some of the ethos of a coffee shop as well as the characteristics of the first Christian communities in Jerusalem. First, there is the paradox of consistency and creativity. Starbucks brags about consistency in product—when you order a specific drink, it will be the same no matter where you order it in the Starbucks chain. Now, we know this is not entirely true. Some baristas are more competent than others. The point I am making here is that Starbucks offers an overall consistency in approach and quality, but there is room for the customer to be creative as well. He or she may customize the drink to fit individual taste. What does this mean for the faith community? A local body of believers, no matter what its size, must be consistent in its basic “product” or theology. The simplest statement of this would be “Jesus Christ is Lord.” We might go on to declare a commitment to a Trinitarian expression of God, a belief in the church as the ongoing expression of Christ in the world, etc. After the basics, some things are negotiable—how one practices prayer, expresses concern for the world, shares the faith, and so forth. There is a combination of consistency and creativity. Second, there is the paradox of individualism and community. A great deal is said about the need for a “third place” where “everyone knows your name.” It may be a bar, a club, a sports team, a coffee shop, or the church. This is a place where one is not seen as a producer of services (as in the workplace) or as a nurturer (as in the home) but in a different role entirely. At the same time, within this community there is individualism. While some come to the coffee shop to network, others come simply to relax or (sometimes) log on the Internet and work. There is freedom within community. The best expressions of the church offer the same thing. Some come to learn, while others come to serve or be healed. There will be different needs at different points in one’s life. Third, there is the paradox of familiarity and uniqueness. When you go to the coffee house, you pretty much know what to expect in décor and amenities, but each one is a bit different. My favorite Starbucks doesn’t play the music as loud as most! Even Starbucks has a company policy of adapting to the mores and needs of the specific community in which it is located (especially when it comes to setting up stores overseas). A decentralized church will combine the familiarity of the Christian tradition in order to encourage those who are rooted in it while at the same time finding ways to identify with the neighborhood—offering services to particular groups, arranging Bible study and worship experiences that mesh with the lifestyles of folks in the area, and becoming an essential part of the neighborhood. Of course, there are practical considerations as well (better use of space, accessibility of services, etc.) that the church can learn from the coffee houses. I think that both Rami and Rex are on to something. At the end of the year, I will finish my work as coordinator of the Tennessee Cooperative Baptist Fellowship. At that point, I will be into my tenth year in that role. It has been challenging to serve as the first full-time state worker for this group of progressive Tennessee Baptists, but it is time to move on. Some have asked me what I plan to do in “retirement.” Now that some things have fallen into place, I can describe my plans as a four-legged stool, but one that I will probably stand on rather that sit upon. First, I plan to spend added time with family. With four grandchildren here in Murfreesboro--age range 4 to 21--Rita and I have plenty of opportunities for grandparenting right here at home. We also have a grandson in California and a granddaughter and three great-grandchildren in Wisconsin, so we will take our grandparenting on the road from time to time as well. Second, we will continue to be active in our church—First Baptist, Murfreesboro. A fellow church member and I hope to begin a new Sunday school class in the fall that we are calling “All Things Considered.” I have found that I learn best in a group, so I look forward to some great learning experiences through this class. Third, Central Seminary has asked me to continue as director of the seminary site in Murfreesboro on a contract basis (part-time, of course). The commitment is year-to-year. I will be teaching occasionally. In the fall, I will co-teach a ministry praxis (field education) course with Professor Terry Rosell from the main campus in Shawnee. I am enjoying this on-going relationship with President Molly Marshall and friends at CBTS. The last leg is one that was finalized this week. 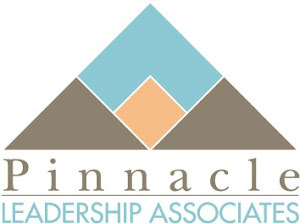 I will be working with my friend and colleague Mark Tidsworth in his new endeavor, Pinnacle Leadership Associates. I am honored that he would ask me to be part of this venture. On a contract basis, I will be doing some clergy coaching, training, and church consultation--wherever Mark thinks I can be of help. The website http://www.pinnaclelead.com/ should be up and running by June 1. My participation will be limited for the rest of the year, but I wanted to be involved in this effort from the beginning. I think all of this will keep me busy (as I want to be) and will give me the opportunity to continue to exercise my gifts in ways that I enjoy. I love it when a plan comes together! While in Winston-Salem this week, our group had the opportunity to visit the Divinity School at Wake Forest University and dialogue with Bill Leonard, the dean of the school. The div school at WFU is one of the best of the new theological schools related to the Cooperative Baptist Fellowship. It combines the advantages of a classical university-related theological curriculum with a commitment to training ministers for the church. Actually, North Carolina is greatly blessed with theological schools! In addition to the one at Wake Forest, there are divinity schools at Campbell University and Gardner-Webb University as well as a Baptist House at Duke Divinity School. I applaud what these schools are doing and the training they are providing not just for North Carolina students, but those from other states as well. These schools also provide a number of full-time and part-time staff members for churches in the state. On the other hand, what about those states that are not so blessed? How can we provide theological training for those who are already serving churches (many with day jobs and families) but can't commute to a divinity school? We urgently need new models for theological education. These new models would not replace the quality programs offered by Wake Forest, Duke, McAfee, et al., but they would serve a constituency of students and churches who are underserved at this point. In the interest of full disclosure, I need to say that I serve part-time as the director for the Central Baptist Seminary center in Murfreesboro, Tennessee. We are providing classes for men and women who are employed full-time (one as a pastor), are serving in local churches, and have settled families. They attend classes taught on Friday nights and all day Saturday by professors from the main campus in Shawnee,Kansas, as well as by adjunct instructors from middle Tennessee. Even so, I don't think that the "teaching church seminary" approach offered by CBTS is the only alternative model (although it is a good one). 1. Obtain qualified and gifted instructors. I believe that there is a place for "itinerant theologians" who will pack up their bags and go where the students are. There are just so many positions available in seminaries today, and some quality people have not found teaching positions. Perhaps we need to encourage churches to hire these people in part-time staff positions and free them up to teach as adjunct professors. We have some good pastor-theologians in our midst who have much to offer. 2. Rethink "residency" requirements for students. Many theological seminaries now offer classes only two or three days a week on their main campuses. Most of their students are commuters; they find a parking place, attend classes, visit the library (hopefully), attend chapel (if convenient to their schedule), and leave to go home or to work. The students attending classes in Murfreesboro spend 11 hours together two or three weekends a month, so they have as much contact time with professors and fellow students as those who meet two or three classes once a week. Add to this the availability of rich resources online and e-mail communication. In light of these circumstances, what is the advantage to going to the main campus for classes? 3. Emphasize "just in time" theological reflection. Considering one's life and ministry in light of an expanding biblical and theological awareness is an important part of theological education. It is even more significant when one is already involved in a local church or community ministry and can build on established relationships and responsibilities. Students who have to relocate to another city to pursue their education must expend at least some time finding an appropriate place of ministry, establishing rapport with the congregation, and then "carving our their niche" before the learning can begin. 4. Build community. It takes more than a central site with bricks and mortar to build community. True konoinia is the gift of God that comes when people work, worship, and learn together. Such community can take in a fellowship hall, a classroom on the third floor of a church building, or in the commons room of an apartment complex. With the failure rate of traditional seminaries growing (due to finances, lack of students, and capital commitments among other things) and churches calling out their own to serve, this is a good time to consider alternatives. Several years ago in another life, I was asked to provide some leadership training sessions for campus ministers in neighboring state. I always enjoyed these opportunities for dialogue with colleagues. One of the topics I addressed on this occasion was the importance of collaboration in ministry. My intention was to discuss the value of working together and learning from other people. I was surprised by the response of at least one of the participants. He said, "Well, yeah! That's just common sense." Maybe it is, but how many of us practice it? We often see Christians violating the collaboration ideal in two ways. First, we want to compete rather than collaborate. Second, we assume that we (or some particular person) is the expert with the final answer. I have often found that much of value is not only offered but discovered in collaboration. When people with different experiences, backgrounds, and gifts gather around an issue or project about which they sincerely care and make their best contributions, great things happen. When the process is allowed to play out, the results can be amazing. This concept is rooted in spiritual truth. Alan Roxburgh reinforced my understanding of this when I heard him say (I paraphrase his comments), "The Spirit of God is among the people of God providing the guidance that they need." If we sincerely believe that each believer is uniquely gifted and called to build up the body of Christ, we embrace this concept. We don't need outside experts with answers. We do need those who can lead us in the process of perceiving the work of God in our midst. This happens as we collaborate, bringing our best to the table. This is the Spirit at work. As I was walking in the local mall today, I noticed that a rather large clothing retailer had closed their store there. As I thought about it, I remembered that the local newspaper had reported that this particular business had relocated to another (newer) shopping area in our community. They are not out of business, but they have moved to attract a different (perhaps larger) clientele. They are adapting to the times. Nothing lasts forever. We talk a great deal about the future of the local church. Some congregations prosper in their present locations, but others relocate to "greener pastures." Some may merge with other congregations, some transition into ministry with a different group of people, some change their style of worship, and seem even choose to close their doors. The congregation that nurtured me as a youngster eventually sold the facilities to an ethnic church and merged with another congregation; the resulting congregation has prospered. I have been reading The New Christians: Dispatches from the Emergent Frontier by Tony Jones. I will post some specific comments about the book another time, but I was struck by the fact that many of the expressions of the so-called "emergent church" that the author describes live very tenuous lives. Many are in urban settings, often meeting in homes or in churches that have been abandoned by mainstream denominations. Their participants are often young, mobile, and still forming their faith commitments. I do not question that these are valid expressions of the body of Christ, but I do wonder how many of them will survive for a decade or more. What difference does it make? The key lesson for me as a believer is that local congregations and emerging faith communities may survive or they may not, but the Church--catholic (universal) and eternal--will continue. The Church goes on. The way it is structured may change; the location may change; the liturgy may change. It may not look exactly like what we have experienced, but the Church will survive. Our role is to be part of the Church and contribute to its ongoing ministry. The way we live that out is negotiable; the call to be do it is not negotiable. Do you have a guilty pleasure? Something of no redeeming social value that you just like to do? Mine is superhero movies. The newest one on the scene is "Iron Man." It is a great "popcorn movie" (although I don't eat at the movies that much). "Iron Man" stars Robert Downey, Jr., an actor whose real-life struggles mesh well with those of his character, brilliant industrialist/inventor Tony Stark who seems to be addicted to the traditional vices--women, gambling, fast cars, and alcohol. In a life-changing experience, Stark (literally) attempts to reinvent himself with the help of a lot of high tech gear (think Thomas Alva Edison mixed with Bill Gates and add steroids). This is a fun movie (with some significant plot holes) but it also gives us some things to consider (which will certainly be addressed in the sequels). First, can a guy this deep into hedonism really turn his life around? It seems that his trusty "girl Friday" and his Air Force colonel buddy will have their hands full helping him to accomplish this, but we need to remember that real recovery and redemption only happens in community. Evangelicals don't like to hear that said, but it's true. Second, can Stark really control the technology he has created? He learns in this film that the military technology that has made him rich and famous is used not only by those for which it was intended but by terrorists as well. Will his "Iron Man" creation be any different? There are some good questions of morality here. Deep questions aside, "Iron Man" is a good way to spend a couple of hours on a summer afternoon (with or without a bag of popcorn). I hope you enjoy it. Looking for a new perspective on your ministry? 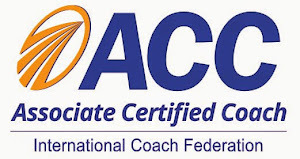 Please check out this link for articles and resources that may be of help to you on coaching, spiritual formation, and congregational development.